Reclaimed wooden house ornament made from reclaimed wood. Seaside theme with ‘love ‘. quote. A beautiful house decor item is made from wood reclaimed from the forests around central Scotland. 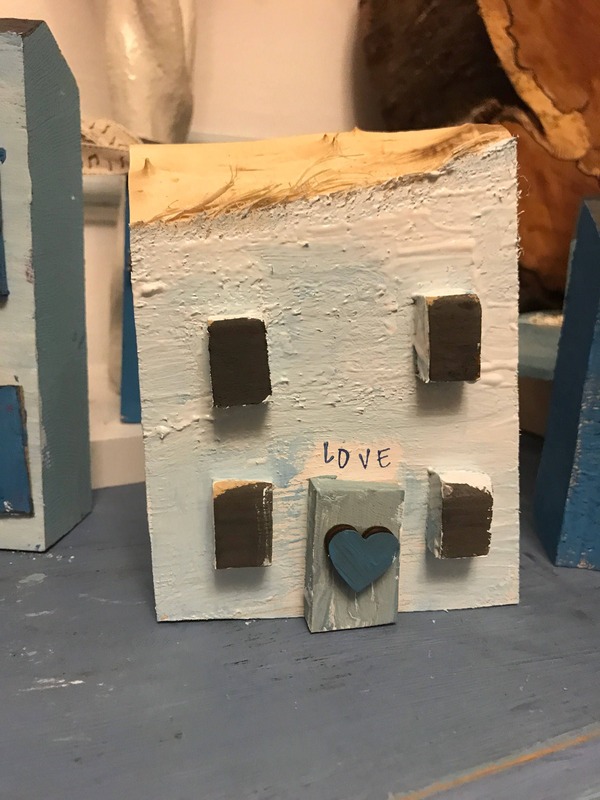 It has been hand sawn and reconstructed to make this beautiful home ornament and carefully painted with Annie Sloan chalk paints. Chimney with smoke also handcrafted with care ! love quote hand stencilled on.